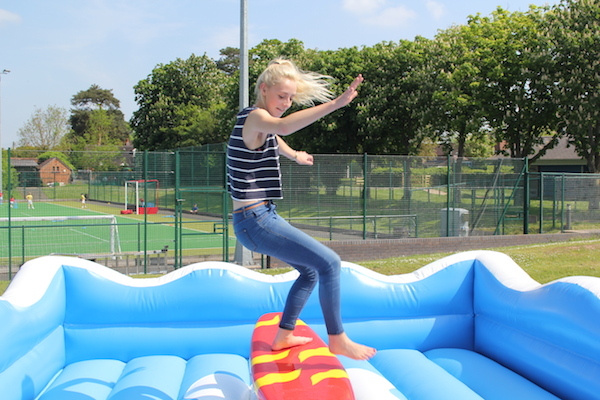 ‘NO WET SUIT REQUIRED, WAVES ARE HIGH SO JUMP ON FOR SOME SURFING FUN’! 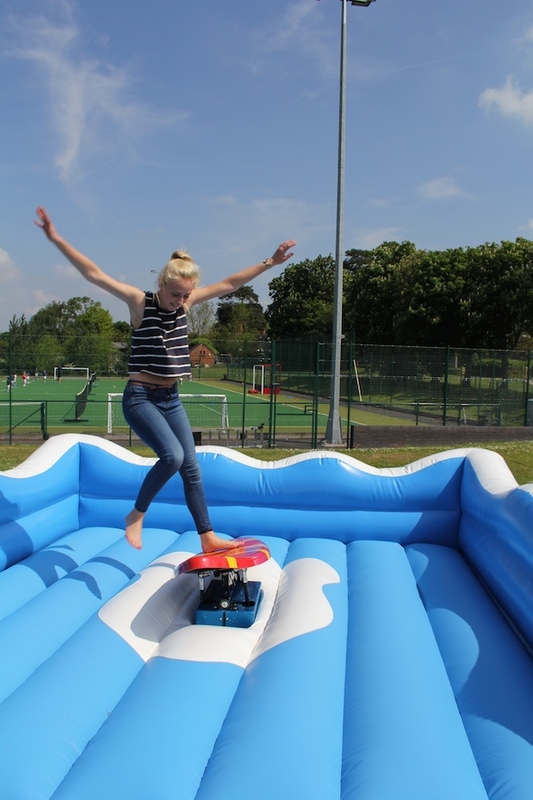 Time to check out your surfing skills without the inconvenience of getting wet but just the embarrassment of a wipe out in front of your guests! 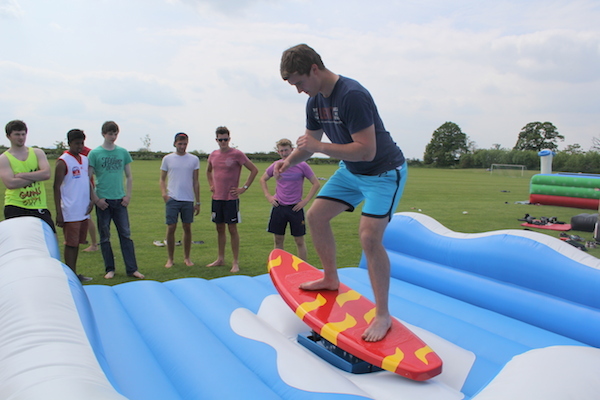 How long can you keep your balance as the surf board tilts and rocks on the high seas. 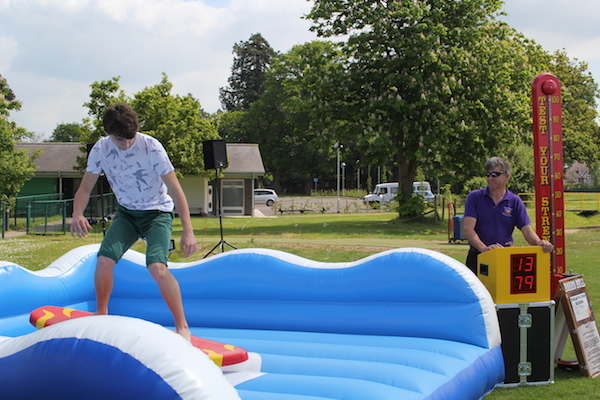 The surf sim is super fun for children, teens and adults and also spectators. 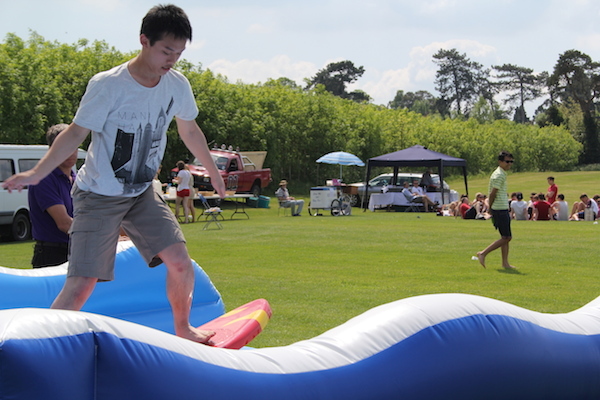 The blue and white inflatable bed will ensure a soft landing. 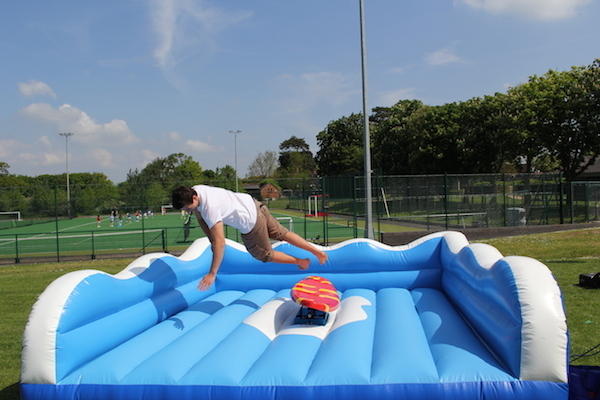 Our surf simulators are operated by experienced staff who control the surf sim for the duration of the hire. Surf The Waves Simulator can be controlled manually or using the auto ride programs so everyone gets the same ride. There are 2 large LED timer displays which show the current riders time and the best time of the event. 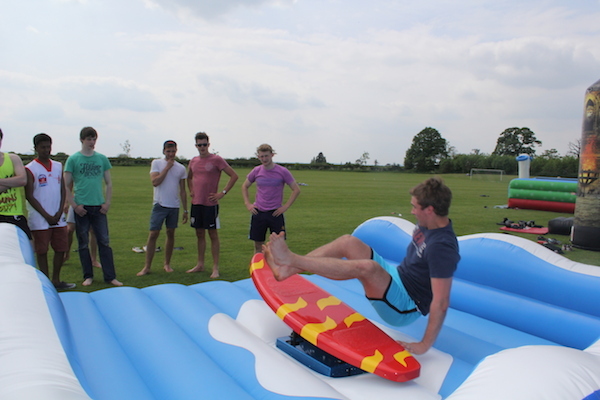 We run a competition and offer prizes for the best ‘Surf The Waves’ surfers. 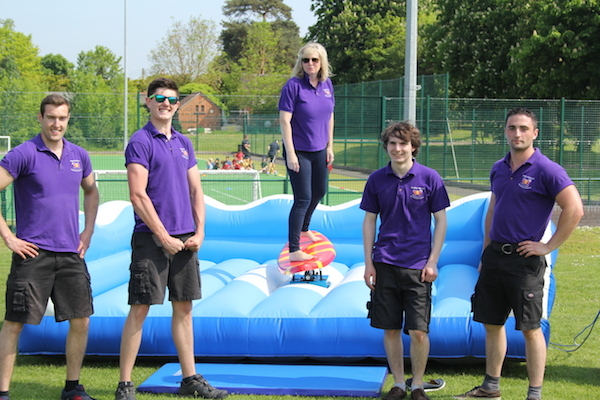 We are able hire our surf simulators to all areas in the UK including Evesham, Worcestershire, Gloucestershire, Herefordshire, Warwickshire, Shropshire, West Midlands, Staffordshire, Leicestershire, Oxfordshire, Wiltshire and Somerset. 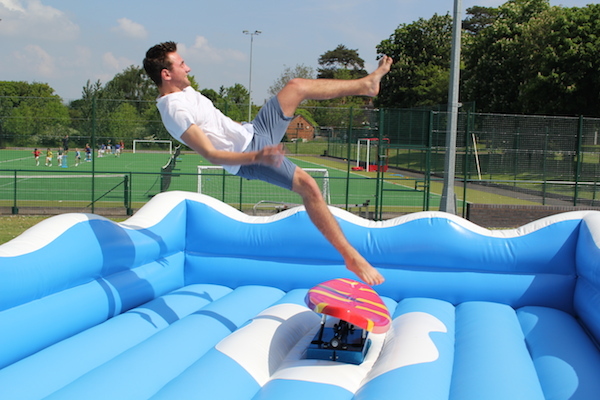 If you are organising a beach party or a corporate fun day, then a surf simulator is a must. Size: inflatable bed 14ft square approx.